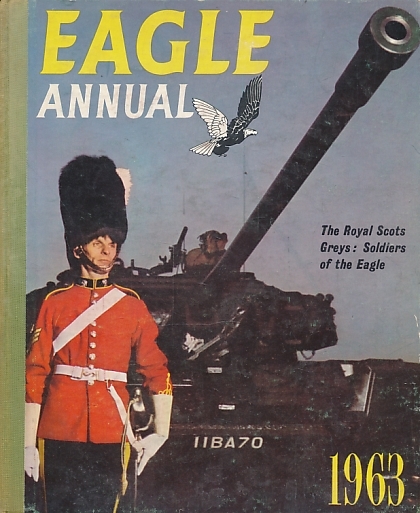 Barter Books : Hampson, Frank; &c. : Eagle Annual Number 12. 1963. 260 x 210 mm (10 x 8 inches)8vo - 173pp. Illustrated board cover with green cloth spine. G : in good condition without dust jacket. Cover rubbed. Spine faded.